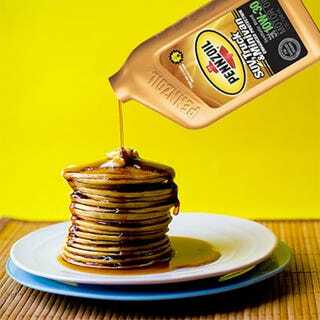 Pancakes absorb real syrup too quickly to photograph, so photographers replace it with engine oil. I bet that wouldn’t stop Ted, though. He doesn’t see anything wrong here.